We have yet to meet a child who didn’t love playing with chalk, markers, crayons! They see all these wonderful pictures in books and watch us write, so why wouldn’t they? We recommend creating some type of “Creator’s Box” that gives kids the freedom to draw or write whenever the mood strikes. We haven’t explored Apps – there are new ones nearly every day. So the list below focuses on websites (all of which will work on your tablet or pad). Each site reference includes an annotation so you can learn more about it. Quick reminder: We are including these for your personal use. Inclusion on the list is not an endorsement. If you have suggestions (or find a broken link), please email us. We’d love to hear from you. Cartoonist – With Cartoonist, you can compose multimedia stories. You can use the tool to create comic strips or more personal digital narratives. Crayola’s Drawing Tablet – Choose different tools, colours, and tip sizes on the palette, then move away from the palette, left click and start drawing. Write words on your palette too. Curious Corner – This site is sponsored by Department of Museum Education, Art Institute of Chicago. It is a children’s interactive game that brings the museum’s collection of art to life. Packed with lively animation and fun features, the dynamic program encourages young Web users and their families to explore more than 30 works of art from around the world through playful and creative activities. 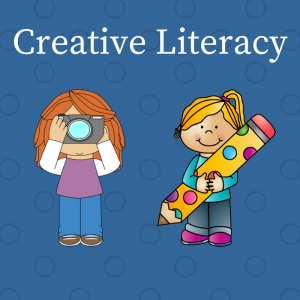 Google Docs – In this April 2011 post on her blog, Susan Stephenson shares ideas on ways that kids can use the drawing tools in Google Docs for learning and story creation. KidsCanHaveFun – Everything you need to have some coloring, arts-and-crafts fun is right here at Kids Can Have Fun. From the website: The different sections include Crafts, Coloring, Puzzles, Games, Party and SchoolZone. In SchoolZone, there are many educational activities for kids such as printable school papers, educational crosswords and word searches. Coloring includes pictures perfect for Bible Study, as well as more secular ones, and mini-coloring books. Livebrush – Free download that allows you to draw and create artwork. Easy for children and the artistically challenged to use to learn and express their creativity. Origami Club – This site includes a instructions for origami. Includes a large variety of creation options for all skill levels. Scrap Coloring – Choose from a palette of designs and colours, click on part of your template, and the site fills it in with colours, patterns etc. There is also an option where you can colour a name or a greeting. Sketchcasts – Allows you to record your voice along with your drawing. See the Book Chook review.